We are an established company with professionally trained staff and undertake all aspects of security. 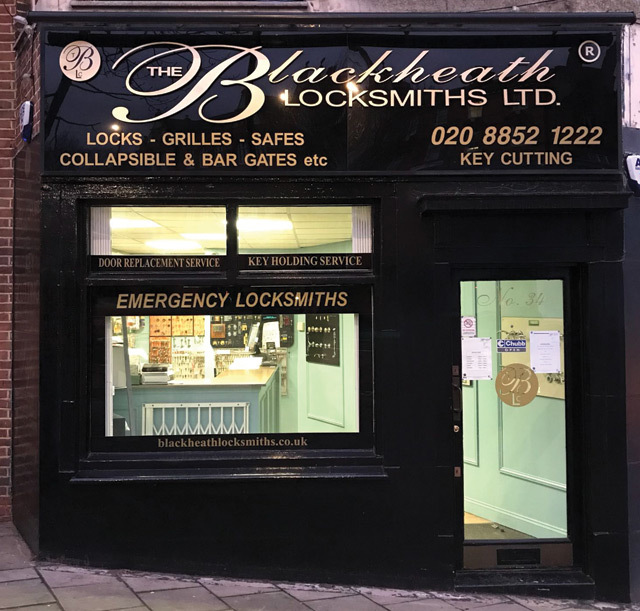 Blackheath Locksmiths Ltd strive for customer satisfaction. We only use higher-grade materials, knowing our work will give years of trouble-free use. We undertake all aspects of security; whether you want to completely overhaul your property's security or improve your existing security measures. We have an extensive workshop and carry a huge amount of stock to cater for all our customers' requirements.